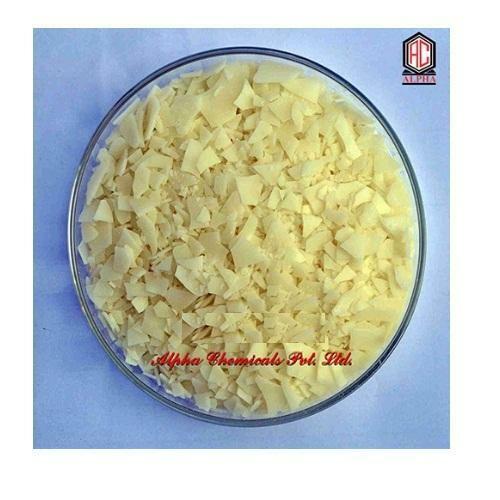 The (Alphanol CS) Cationic Softener is used as non yellowing 100% softner in flakes form. We use superior grade raw materials during processing of Alphanol CS, which impart requisite quality grade in our range. We offer (Alphanol CS) Cationic Softener in packing of 25kgs HDPE bags with liner. Our gamut comprises Water Treatment Chemicals, Fatty Alcohol Ether Sulphate, Textile Chemicals, Foaming Agents, Shampoo Conditioner and much more. Our range of chemicals are pure and meets the exact standard required in various industries owing to stringent quality testing and up-gradation of the chemicals offered. Accurate composition and precise pH value also enable use of these chemicals in Shampoo, Formulation of wetting agents, fire fighting foams, pigments, Emulsifiers and more. To meet the requirements of industries like textile, pharmaceutical and cosmetics, our professionals remain updated with market trends and accordingly implement the findings in the production process.